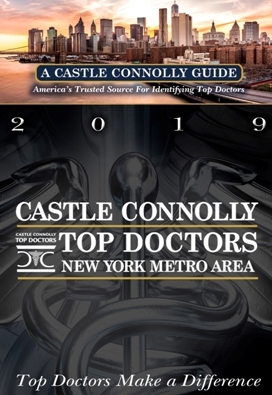 Castle Connolly has once again honored Dr. Mandel with inclusion in: Top Doctors, New York Metro Area 2019. Dr. Mandel is the only exclusive laser vision correction surgeon, in the New York Metro area, to have been selected as one of America’s Top Doctors by Castle Connolly, for 17 consecutive years. As Castle Connolly will tell you, Top Doctors make a difference! Here at Mandel Vision, we pride ourselves in giving our patients the best possible experience. This begins with the friendly faces of our front desk staff, followed by the personalized attention you’ll receive from Dr. Mandel. We feel this is one of the many reasons that Dr. Mandel is consistently chosen for this special accolade.